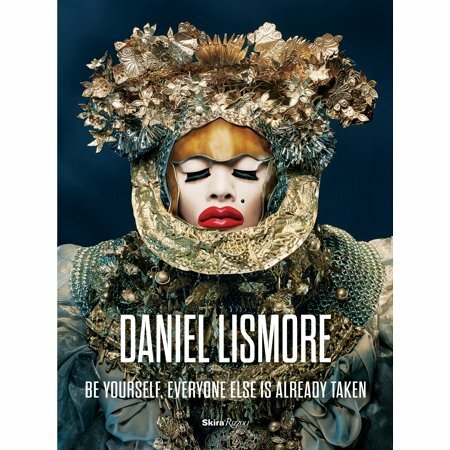 A prominent fixture on the London fashion and art circuits, Daniel Lismore is both a tastemaker and friend to artists ranging from Stephen Fry and Debbie Harry, to Boy George and Edward Enninful who all contributed to his first book, Be Yourself, Everyone Else Is Already Taken published by Rizzoli. In this book he shared 32 3D fashion-sculptures that comprised his first US museum exhibition, co-curated by Savannah College of Art and Design (SCAD) and which was later displayed at Miami Art Basel. In May 2017 he had an exhibition at the Venice Biennale. In June 2018 Lismore curated a month long show of his work at Harpa Hall in Iceland as the highlight of the Reykjavik Arts Festival. The exhibition will continue to travel the world and will open at Pan Museum in Naples, Italy in June 2019. Hannah De La Viña: In your book Be Yourself, Everyone Else Is Already Taken — you mention that your inspiration for the looks presented in the exhibition of the same title was China’s Terracotta Warriors. Tell me how you arrived in the Far East from London? Daniel Lismore: I was trying to figure out a way of presenting a large archive of work figuratively and I simply thought of the Terracotta Warriors. They hold great historical value and they've some of my favorite artworks so I decided that I would create my own army. I wear a lot of actual armour and the creations I wear are also a type of armour, so it seemed right that I should create an army of splendor. HDLV: I love that in this day and age you have such sustainable values. In your book, you mention everything you outfit with is “recycled, upcycled, or reused.” How does the limited nature of secondary materials affect your studio process? DL: I don't have a studio. My studio is in my head. When it comes to working on art exhibitions, I usually work on location. I love to reuse and to reshape items and fabrics, materials and found objects and repurpose them to create something completely different so when someone walks through the exhibition they have a particular perception of something and then they see it in another way and then they change what they thought originally. I also use a lot of religious pieces in my work. It's just because I think they're beautiful. I find things all round the world and they end up in my sculpture—I wear them first. Everything that I've worn will one day be turned into a sculpture. I think it all goes back to a moment with Isabella Blow, sitting in her living room. She told me that all clothes needed a life, about her hats that they all have a life, and they all are kind of like friends that you need to go out and have a great time with. I think about my outfits like that. Every time I look through my wardrobe and see an old outfit it brings back memories of where I wore it, who I was with, what I was doing. My exhibition isn't just full of recycled objects, it's full of historic artifacts. I have an ancient Buddhist necklaces which is 2000 years old. I have Roman rings, pieces of silver from the Tehran Museum to pieces from Victorian times. 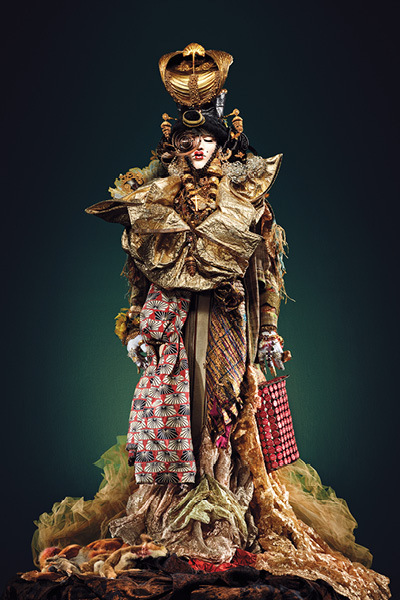 Early Alexander McQueen to Boy George’s hats, to something I made for Mariah Carey and gifted by Bjork. More or less, the whole of history is represented in my work! HDLV: Those Alexander McQueen ostrich feathers are a beautiful reinterpretation of Lee’s legacy. Was he a big inspiration for you? DL: So there was a period that Lee used to come to my parties and he used to sit and watch us all night and never really spoke. He only spoke to me when he wasn't surrounded by his fashion friends but every time we did speak we got very deep and it was usually personal. Knowing the artist and then knowing the person - he was very different to how one might imagine. HDLV: Wow. Incredible timing, considering he passed then in early 2010. How would you compare his work to that of his successor, Sarah Burton? HDLV: Agreed. I was at that first show of hers in Paris, everyone was in tears. What a tragic loss. He is surely looking upon you with accolades. What age were you when you first got info Fashion in a “serious” way? DL: I never really liked fashion as such, maybe more the art and the inspirations behind it. Trends are the worst idea ever. I was very much taken aback by Galliano’s Dior and Gaultier shows. I used to wait till they came on FTV [Fashion TV] and watch them avidly. HDLV: Who taught you to sew, knit or cut fabric? I use safety pins so I can re-drape and reuse everything. I just rip fabric apart with my hands or scissors. I did learn to do Haute Couture embroidery, which I spent many hours doing. I was taught by one of my best friends from India. HDLV: Is your work considered categorically “Couture”? DL: There are Haute Couture elements in my work - for example, there are pieces done by Lesage and some the greatest hands on the planet have contributed thousands and thousands of hours of embroidery to textiles I used in my work. There are a great deal of exquisite handmade items and craftwork in my exhibition. I was very fortunate that the world of Couture opened up to me I was invited into all the great Couture studios in Paris and was able to discuss and be taught techniques by some of the greats. I myself didn't work on everything in the exhibition, well over 100 people have probably worked on something at some point. Many of the ideas and concepts of the embroidery came from lucid dreams I had and were turned into reality. DANIEL LISMORE is a London-based artist, designer, creative consultant, celebrity stylist, writer and campaigner. He started his career as a photographer before moving in front of the lens and becoming a model. He has been shot by and acted as creative consultant to some of the world's most famous photographers including Mert & Marcus, Steven Klein, David LaChapelle and Ellen von Unwerth. 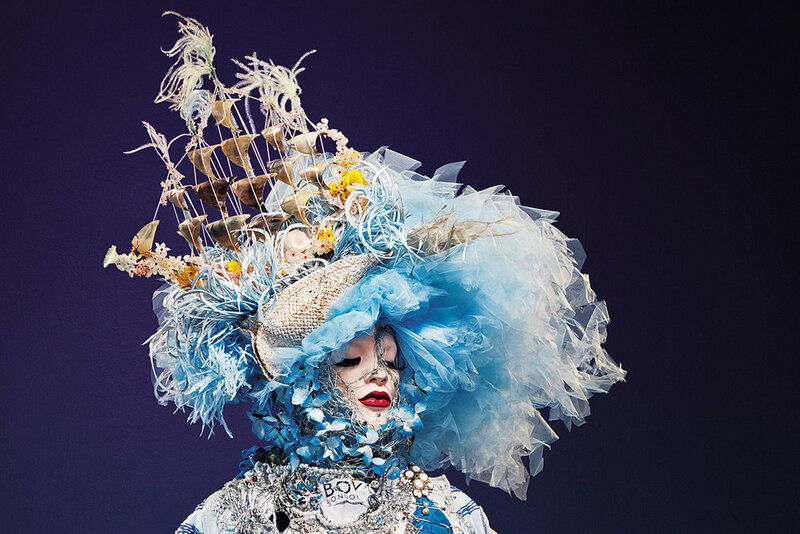 He is known for living his life as art, for elaborate and extravagant ensembles that brilliantly combine haute couture with vintage fabrics, found objects, chainmail, ethnic jewelery, millinery and more in an expression of eccentric, creative energy.